Looking for that perfect, unique gift for that special someone? 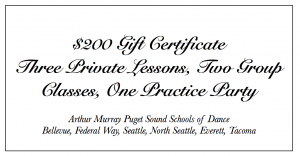 Shopping for gifts for any occasion can be tricky, but with a gift certificate for dance lessons, you are giving your loved one(s) the chance to experience something exciting and different. Buy it for that special person in your life, or treat yourself. 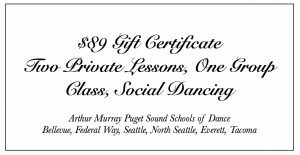 Whether they are getting married soon, have always desired to take dance classes, or just want to learn to dance for fun, these gift certificates make for the perfect gift. 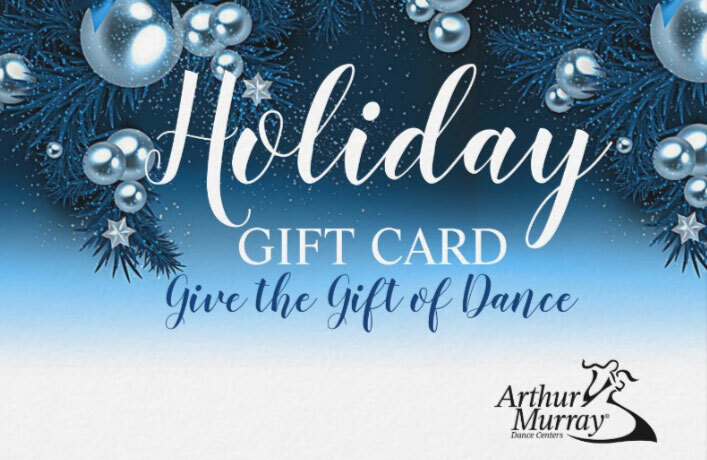 In addition, dance lessons are a great gift for any season; your Christmas, Valentine’s Day, birthday, Wedding events, and Just-Because gift needs are covered! If you have any questions about the gift certificates listed below, just give us a call and are happy to provide answers.